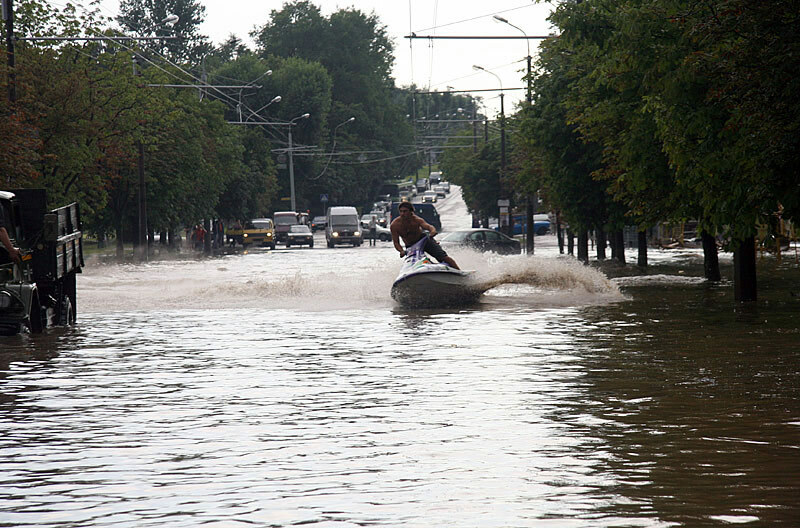 We all know this say “If life gives you lemons make lemonade” but only few people know the meaning or can live their life like that. Here on these photos below you can see exactly the meaning of this say! 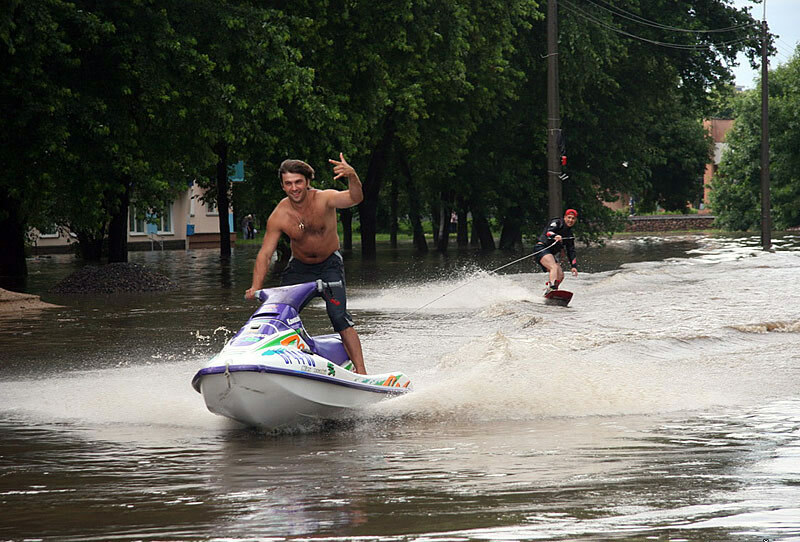 After a big rain storm, some parts in one city in Russia were under the water, the citizens were cursing the day, but not these guys! 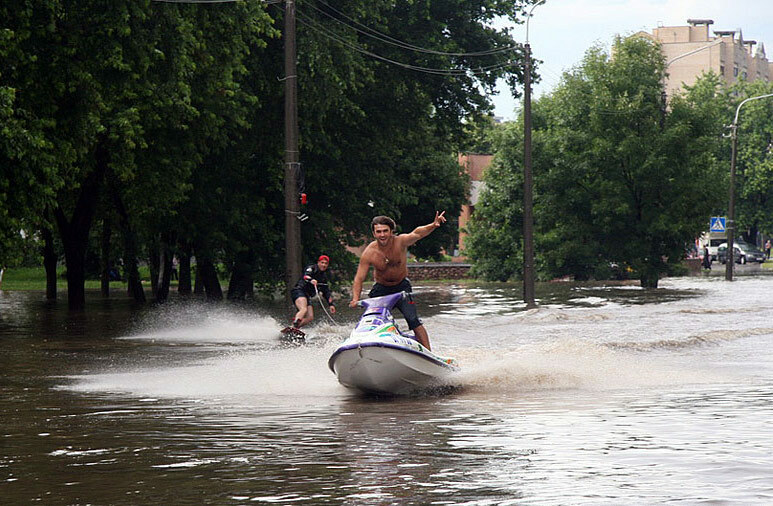 They took advantage of the whole situation! 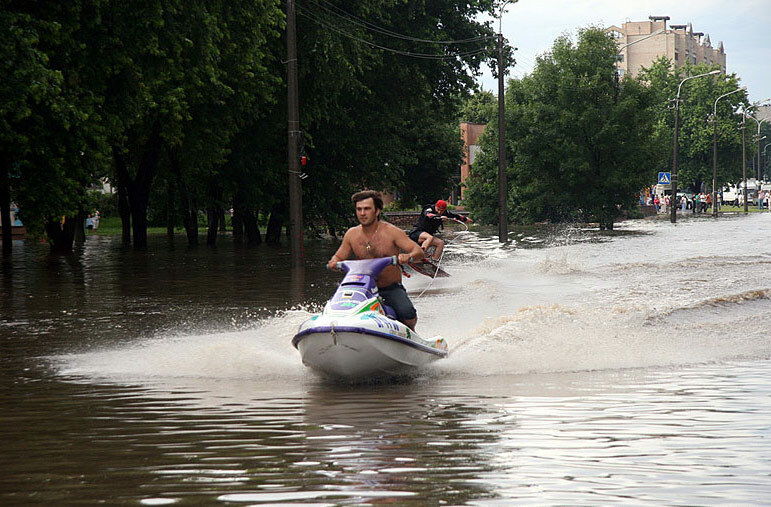 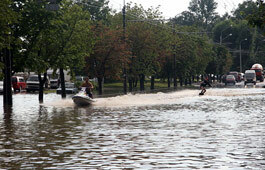 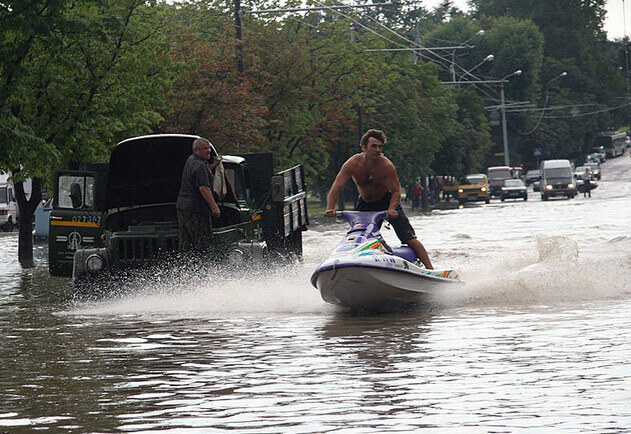 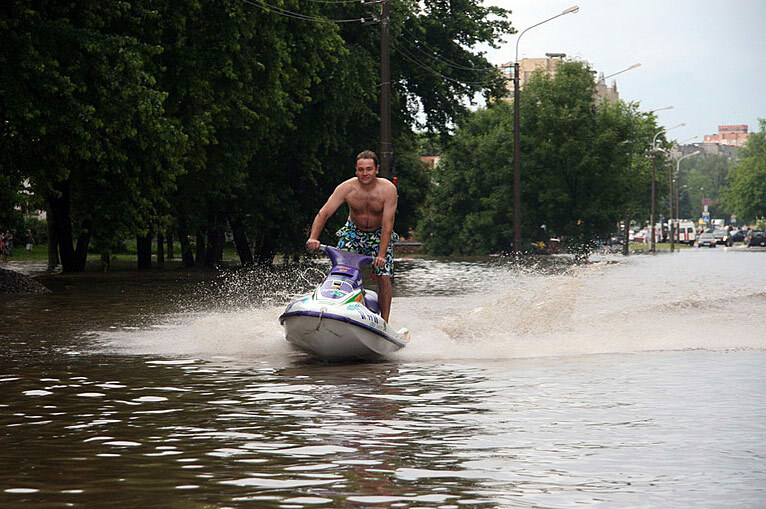 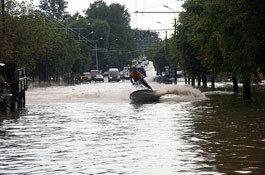 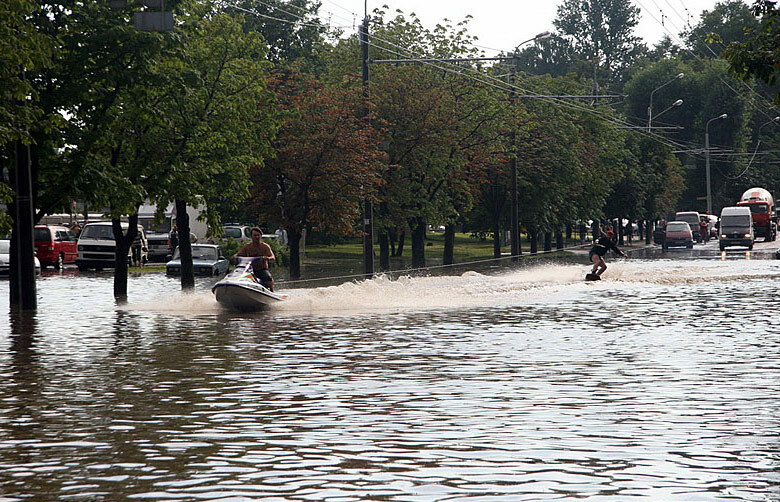 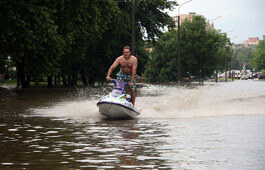 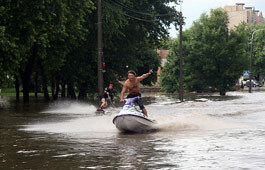 They are riding water scooter and jet ski on the city’s streets! 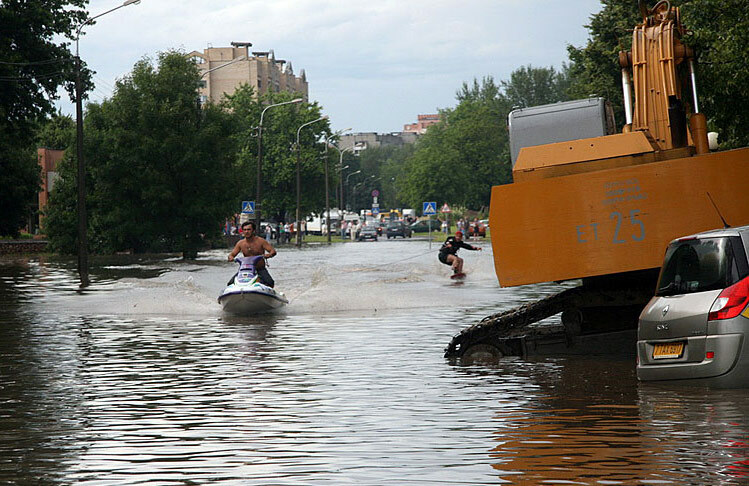 Could you make better lemonade from those lemons?